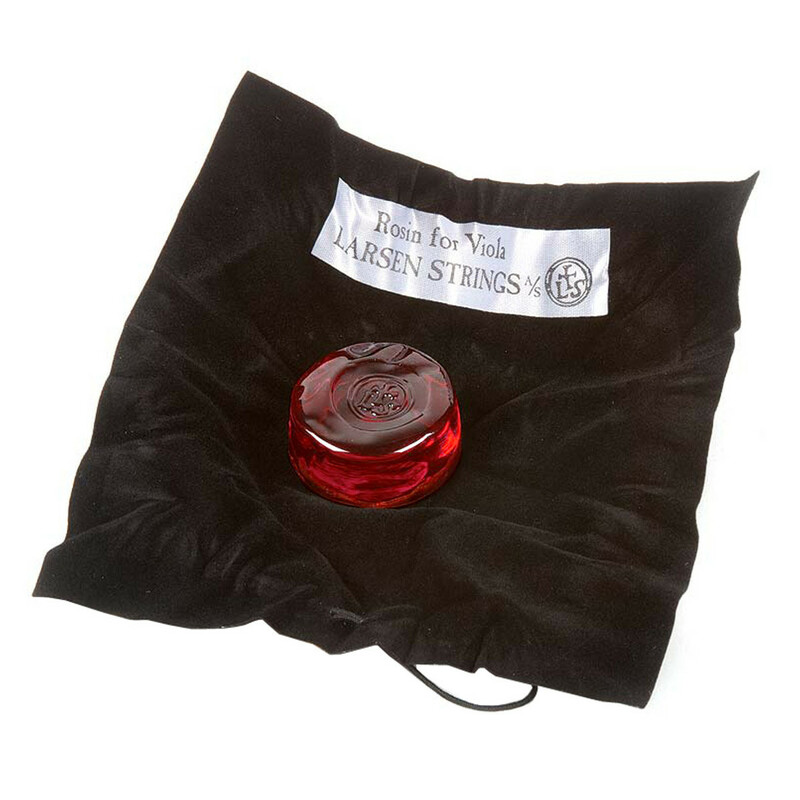 The Larsen Viola Rosin provides a smooth surface for your strings. The rosin is designed to increase your strings' depth whilst maintaining the clarity needed to keep your notes distinct. The red is slightly softer in texture to compliment steel strings and brighter violas. The viola rosin also improves the smoothness of your bowing action, so you can confidently perform with expression. This viola rosin features a protective cloth bag for long lasting freshness.